You are currently browsing the tag archive for the ‘Sherry Wright’ tag. 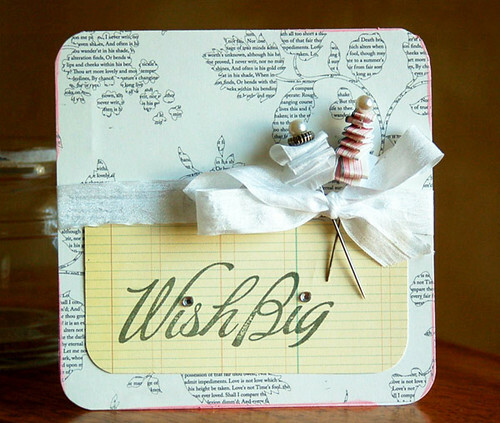 Freebie Friday – Make a Card a Day! Welcome to Freebie Friday! Hopefully you’ve enjoyed the promotion of A Card a Day thus far. Like Jennifer mentioned yesterday, you have until 5:00 p.m. (EST) today to order this fabulous new book and receive free shipping! Why not get a head start on your Christmas shopping! Speaking of Christmas, it will be here before you know it. I’ve already spotted twinkle lights hanging from several houses in my neighborhood. My philosophy is if you can’t beat them, why not join them? Why not get your holiday cards made and out of the way? 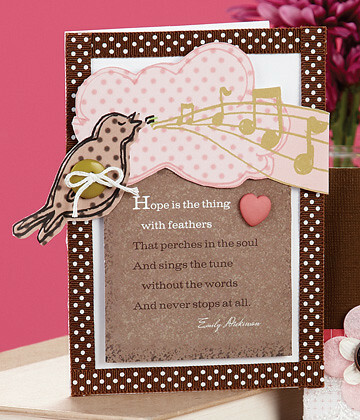 If you need some inspiration for all those cards you intend to send out, A Card a Day has plenty of designs to get you in the ho-ho-ho spirit. 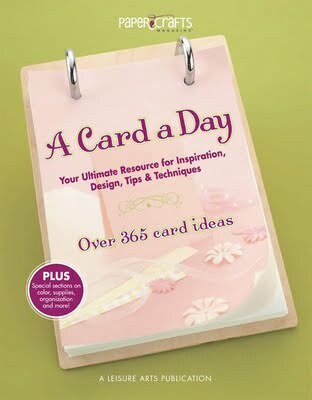 The best part of this book…when it’s January and you’re stuck in your house waiting for Valentine’s Day to roll around, this book will keep you company and remind you that every day is the perfect day to create a handmade card. Click on the image to buy your copy of A Card a Day! 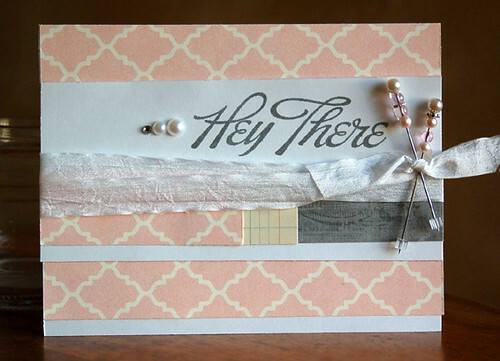 If you’re one of those people who loves to make “Just Because” cards, A Card a Day is laid out just like a calendar – all the major holidays are covered, but there’s also plenty of designs for those days in between when you just want to say “hi” or “thinking of you”. 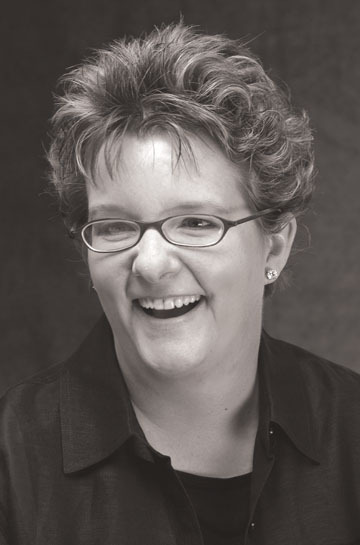 In fact, Wendy Sue Anderson, the mastermind behind this book, designed the lead project for each of the 12 months. 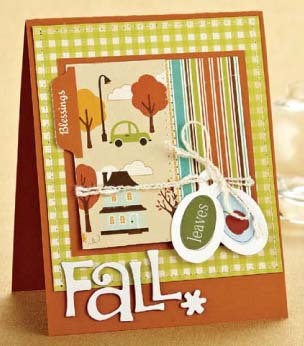 What do you think of her Fall Blessings Card? This is the lead card for November. Have two birthdays and a thank you card you need to send out in November? 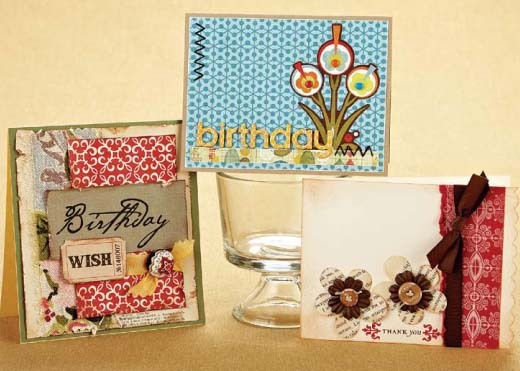 These are the card designs for Nov. 1, 2 and 3. Are you liking what you see? If so, take advantage of our limited time offer of free shipping when you purchase A Card a Day. Hurry because this special offer is only good through 5:00 p.m. (EST) today. Click HERE to reserve your copy! Wanna try your luck at winning a free copy of A Card a Day? Leave a comment telling me what time of the day you feel the most creative. Morning? Mid-Afternoon? Night? Very Late Night/Early Morning? 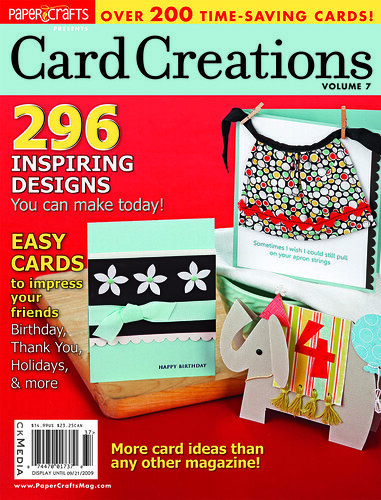 I’ll pick three random winners to receive a copy of Paper Crafts latest and greatest book. All comments must be received by midnight (MDT) on Sunday, Nov. 8. Congrats, winners! 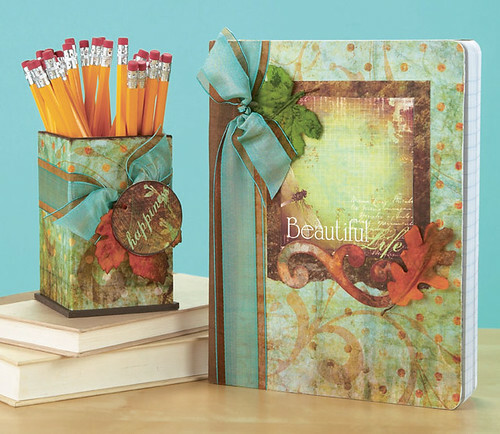 You’ve each won a copy of Paper Crafting with Photos! I’ll be contacting you shortly to get your mailing addresses. Thanks to all who left comments! P.P.S. For those of you who went to our online store and purchased A Card a Day, you might have noticed that shipping charges were added to your order. Even though it’s showing up on the bill, the backend system recognizes the “free shipping” code that’s been put in place. 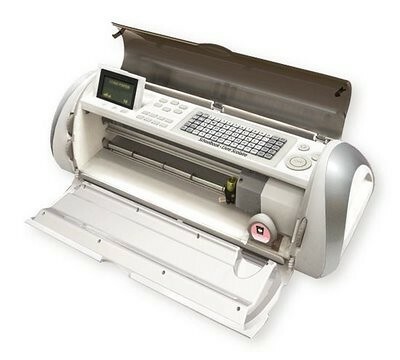 Rest assured that you won’t be charged for shipping. If any of you have avoided buying A Card a Day because of this issue, I’m happy to report we have extended the free shipping offer through 5:00 p.m. (EST) on Monday, Nov. 9! Freebie Friday – November/December I-Spy! Welcome to Freebie Friday and Paper Crafts latest installment of the trivia game I-Spy! If you’re a fan of cute critters, then you’re going to love today’s giveaway! From snails and skunks to mice and monkeys, we’re giving away an entire zoo of animal-themed product. Get ready to play because I’m picking five winners this time! You must have a copy of our November/December 2009 issue in front of you. All questions will be directly related to this issue and this issue only. 1. I spy Jennifer’s Editor’s Note where she starts off singing one of her favorite Christmas carols. What is it? 2. 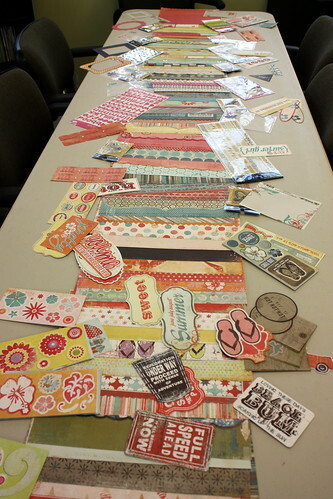 I spy our Paper Crafts Connection column. How does designer Sherry Wright describe her style? 3. I spy Cath’s Moxie Fabs column. What icon does she say is “quintessential Old Country”? 4. 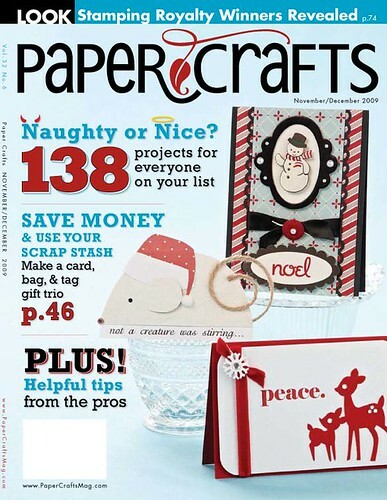 I spy our Paper Crafts 101 column. What number is printed on the second technique square by Melissa Phillips? 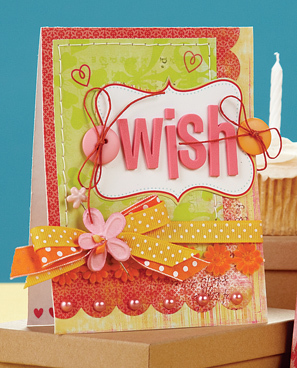 Hint: Look for the card featuring the vintage buttons! 5. I spy our Symbols of the Season feature. According to the vintage book page used in Angie Hagist’s Tis the Season Card, what kind of party was “Anastasia” supposed to go to? A). Pool Party B). Beach Party C). Halloween Party Hint: Look right above the point of the tallest tree? 6. 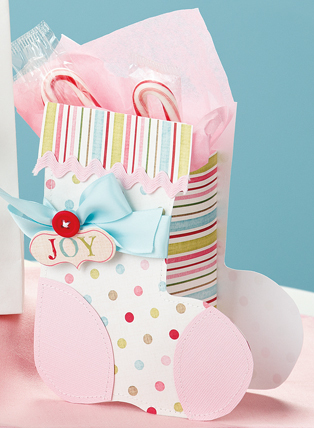 I spy our Gift Trios: A Bag, a Tag, & Card feature. What striped candy is popping out of the bag in Maren Benedict’s Ho! Ho! Ho! Trio? 7. I spy The Heart of Christmas feature. According to the recipe on Wendy Sue Anderson’s Snowballs Gift Bag, how much powdered sugar is needed? 8. I spy our All Creatures Great & Small feature. 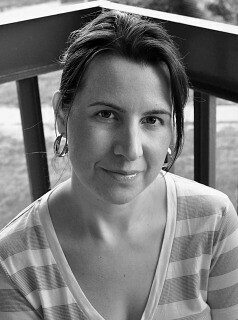 What item did Kim Hughes trace to get the perfect half circle in her Not a Creature was Stirring Card? 9. I spy our Stamping Royalty feature. One winner hails from the state where bluebonnets are the official flower and armadillos roam the highways. Name the winner who has two cards featured here and calls The Lone Star State her home? Hint: This humble editor also hails from this state – as does her “boyfriend” Matthew McConaughey! 10. I spy our Get Inspired column. 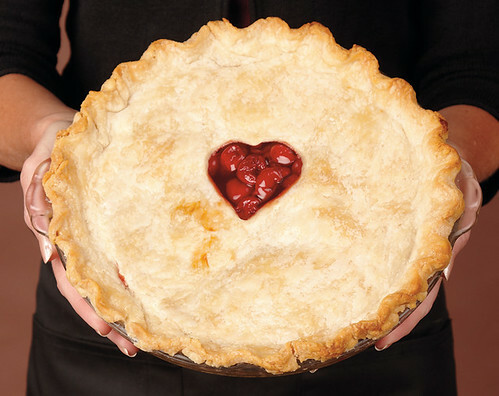 What kind of pie did Susan’s Grandma Ozella make every Thanksgiving? Five random winners (who answer five or more questions correctly) will win a selection of product we feature in this issue’s Product Parade column. (Just turn to p. 71 for a closer look!) To play, please enter your answers in the comment field below this entry. All comments must be received by midnight (MDT) on Sunday, Oct. 11. 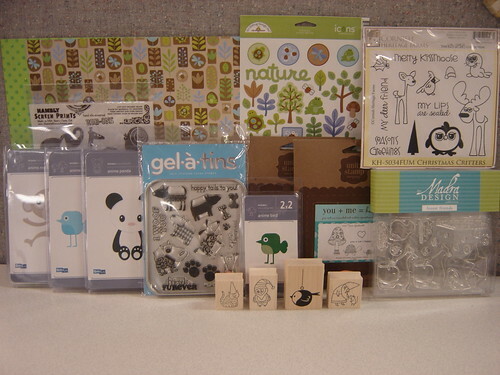 Five lucky people will win an assortment of this cute critter product! Freebie Friday – That’s a Wrap! 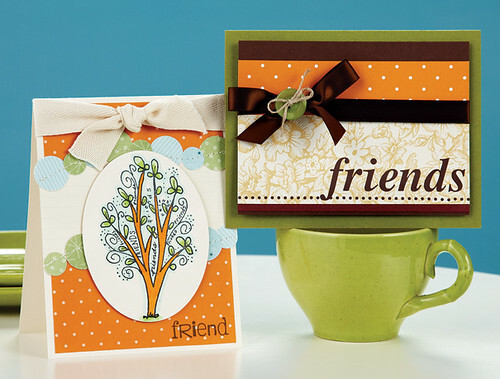 Welcome to Freebie Friday and the final day (sigh) of our Cards & Gifts Week celebration! 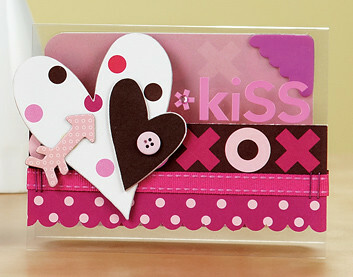 Hopefully you’ve enjoyed your sneak peek of 225 Cards & Gifts both here and on Moxie Fab World. If anything, we hope this fantastic special issue is at the top of your wish list, if not shopping list! For those of you just joining us today, make sure to read all of our nifty gifty posts this week. 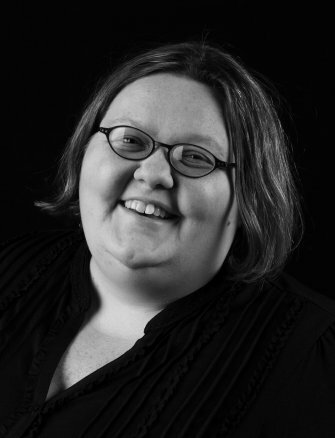 From chatting with rising star Maren Benedict to dressing up gift cards, “wrapping” with Kim Kesti, and making wishes with Susan Opel, we’ve had a grand ol’ time! And special thanks go out to all the manufacturers who’ve donated their fabulous product for our daily giveaways! As always, your generosity is much appreciated! Today I’m going to spotlight the last two chapters of 225 Cards & Gifts – home décor and miscellaneous gifts! 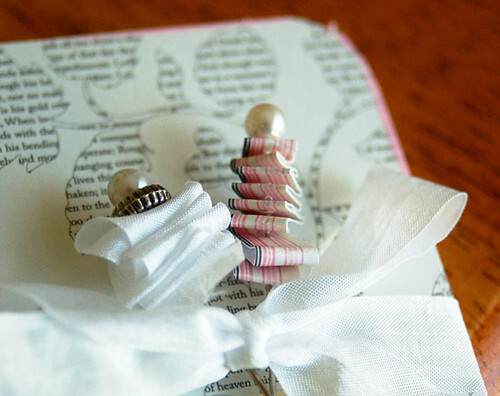 If you thought we had shown you every gifty thing you can do with paper, think again! 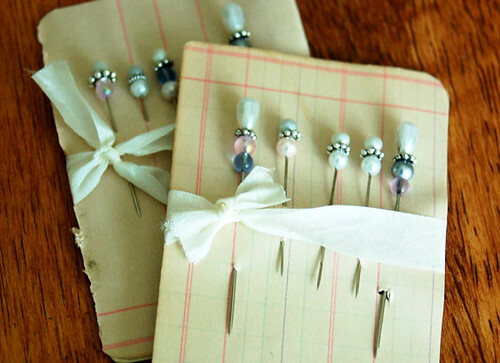 To me, these projects personify the word “gift” and would make a lovely addition in anyone’s home. 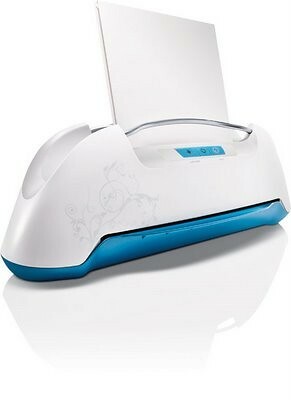 …or how ’bout all the custom-made t-shirts, hand bags, and home decor you could create and give using the Yudu Screen-Printing System? Each time you comment on a different blog (one comment per blog, please), your name gets entered to win. 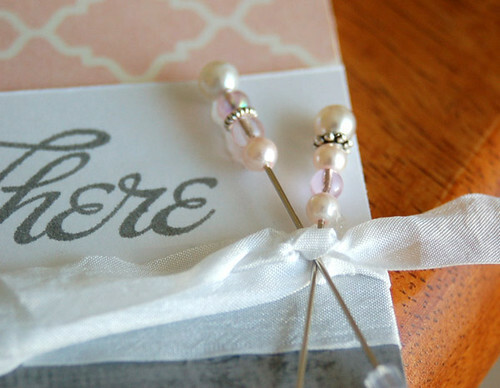 You can start by commenting here, then go see the gifty inspiration that is being offered on these 10 blogs, THEN stop by Moxie Fab World and leave a comment there as well. That’s 12–count ’em–12 big fat chances to win! So ready, set, COMMENT! Tell me which of these prizes you would want to win the most and why by midnight (MST) on Sunday, April 26 and that will be your first of 12 chances to make it happen! The lucky winners will be announced on Tuesday, April 28! P.S. It’s not too late to participate in the Cards & Gifts Challenge! 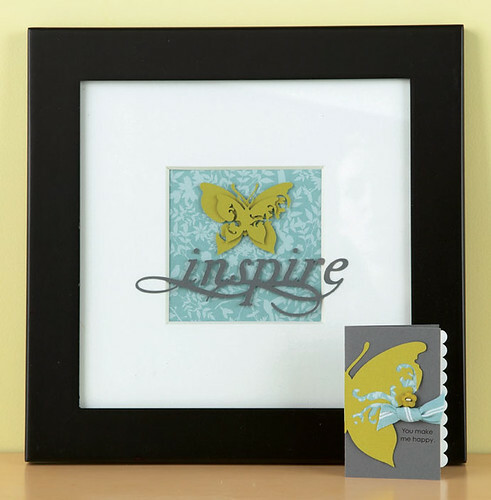 To play, create a Mother’s Day gift and upload it here. The deadline is midnight (MST) on Monday, April 27. We will choose TWO winners in each category and feature them either here or on the Moxie Fab World blog on Thursday, April 30. And of course, there will be prizes! 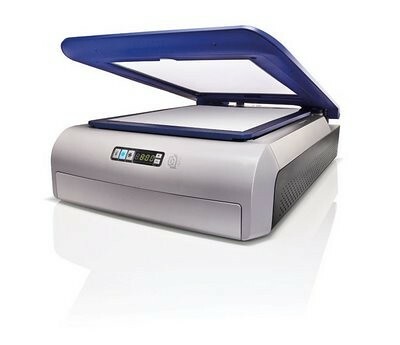 For more information, click here! Congrats, winners! 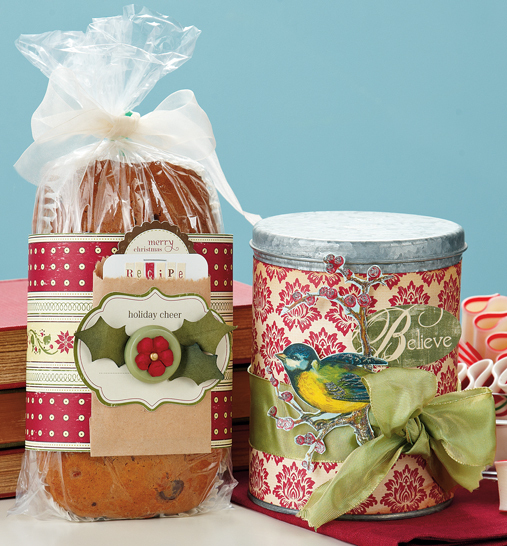 In addition to winning a copy of 225 Cards & Gifts, each of you will receive a window tin and a large hinged tin to gussy up your gift cards! I will be e-mailing you shortly for your mailing addresses. Thanks to all who left comments!